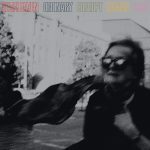 I really enjoyed the debut EP by Livløs and when the band released the first single from the full debut album Into Beyond, Blood & Despair I was convinced that the full album would be one to anticipate. Into Beyond was released in January and I was really eager to put it on and curious if the full-length album would be as good as Blood & Despair. 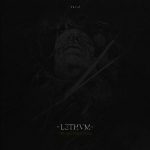 Blood & Despair is the opener of the album and lay a good common ground for the tunes to come, but already at track number 2 Collapse, Livløs shows off a seldom heard perfect sense of groovy death metal. It’s brutal as hell, and you can almost feel the spit from the vocals, while one of the most effective riffs kicks in. Collapse is even better than Blood & Despair in my ears, the groove really is a force of this song. After Collapse, we have Sleepless, and at first listen it seems a bit too close to Collapse and hard to distinct, but this is only for a short while before Livløs shows one of their other forces. The will and ability to combine the more melodic end of the death metal genre with the groovy brutal death metal. It feels a bit like a breed between At The Gates and Entombed. It’s here on Sleepless you’re really carried into the more melodic parts of Livløs sound. So far I’m overwhelmingly impressed by Livløs and their ability to write almost catchy death metal classics, and it doesn’t stop here. 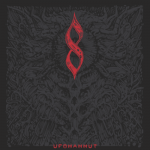 The title track kicks in with a more dark atmosphere, with is a slight touch of blackened death metal, like for example Behemoth. Again the riffs are clear to the point and the shredding guitars lift’s the song to even another level than on the 3 previous songs, the album is developing and unfolding before the listener. On every single song the vocals are delivered with heavy precision and perfection and in the end of Into Beyond, the vocals are given just a notch up, with the characteristic vocals from Caspar Popp ( Bersærk ), what an ending !! The album continues to deliver excellent melodic death metal on the next song The Path, a somewhat quieter and more atmospheric piece, but with cool guitar harmonies and effective solo work. The quietness is not there for long before the groovy part of Livløs is awakened again, with distant long growls and even more melodic guitars before vaporizing. Livløs is back on the horse on Sickest of Seeds with an effective fast-paced song. Again with some of the melodic parts carrying the song through. The album has been superb up until this song, where I think it doesn’t have quite the same high quality as the previous songs, it lacks some memorability and the riffs are just not as good as in the other songs. Don’t get me wrong this is not a bad song at all, it’s still good quality, just not as effective as the other songs, but that would probably also be a bit too much to expect. Before the flood shows a bit more teeth and has a cool chaotic feeling to it, where the riffs are a bit more unpredictable. I enjoy that a lot. When the song changes pace to a breakdown feel in the mid, with heavy brutal guitars before the up-tempo riffs show off, it’s clear that Livløs filled to the brim with relatively short but memorable songs. Especially when the riffs are combined with the solo guitars right after. It is kind of refreshing that the solo is not your classic death metal solo, but actually more a rock solo. At The Abyss opens with Simon Olsen shouting Out of my sight and guitars kicking in with an almost post-metal vibe. It sounds a bit like Cult Of Luna. This kind of abrupt guitar playing with a nice distance and dissonance. 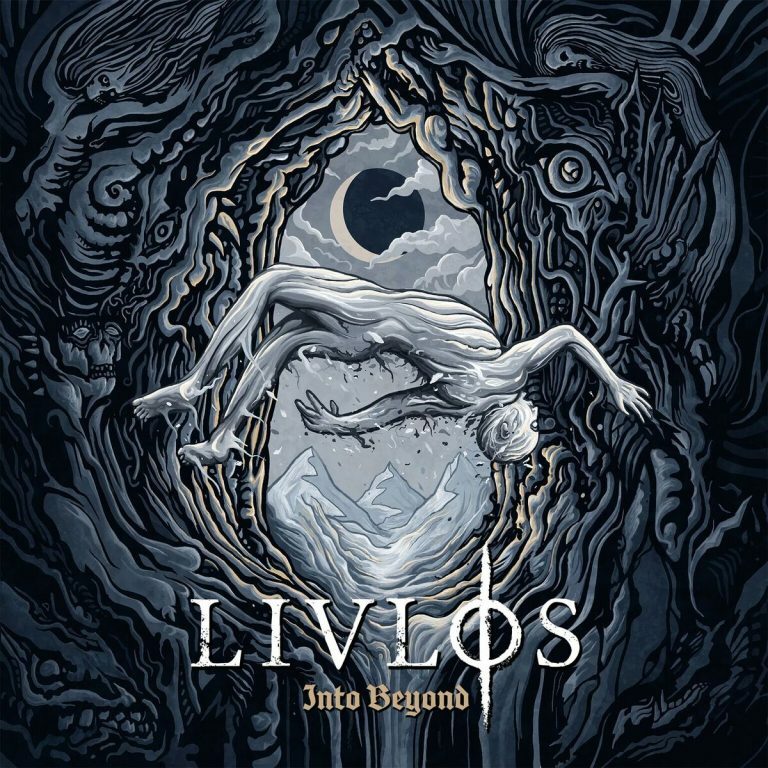 With At The Abyss, Livløs shows off yet another aspect of their sound and just adds another small masterpiece to a perfect album. When the song explodes approx 3 minutes in, it’s just so aggressive that you again can feel the music pounding in your chest. Well done. Last song Noctum, closes off Into Beyond with an enigmatic and powerful exit. On Noctum, there are all aspects of Livløs present. The groovy metal parts, the aggressiveness, the melodic parts, the excellent riffs, the dissonance. Livløs has made one hell of a debut album, and I think it’s so solid, that it should be a stepping stone to a larger audience and I hope they will be performing on bigger stages soon. Come on Copenhell:-). 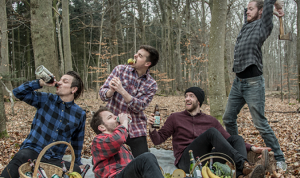 For now, they will share the stage with Hatesphere at Loppen February 16 and you should really attend. The line up that night also included Billy Boy In Poison, that also recently released a quite good record. So recently we had releases from Morbid Angel, Suffocation, and Cannibal Corpse and without pure comparison, I must say that Into Beyond will be more on my record player than those. 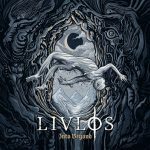 Livløs simply shows technical excellence and amazing song-crafting skills that make their debut album a must for every metal boys and girls collection. It’s hard to pick a favorite song of the album since I think Livløs is showing off excellent skill in different ways, but I must say that the title song Into Beyond, Collapse, Sleepless and At The Abyss really does it for me. Take a listen right now to the full album on Spotify, but buy their vinyl as soon as it’s out, also visit Livløs on their facebook page.